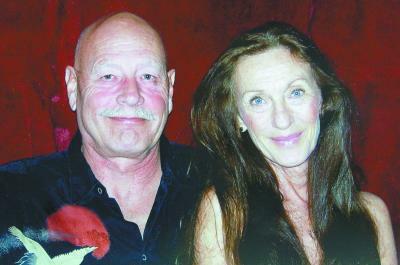 Lynda Weber and Frank Locker met and fell in love while attending college in Greeley. 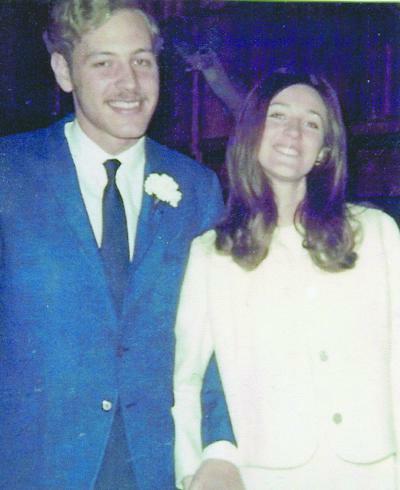 They were married on Feb. 14, 1969 at Sacred Heart of Mary Catholic Church south of Boulder. The couple continued their studies and started their family in Greeley. Lynda graduated and started teaching in 1972. Frank made the decision to start teaching and coaching in 1973. He held jobs as a lumberjack, welder and heavy equipment operator while he and Lynda worked their way through college. In 1979 the couple took teaching positions in Berthoud, Lynda at Berthoud Elementary in Special Education and Frank at Berthoud High teaching Social Studies and coaching football and wrestling. Lynda earned her masters degree in Learning Disabilities in 1979 and Frank in Counseling in 1981. The highlight of their careers was working with the many wonderful students, caring parents and dedicated educators in Berthoud for over 22 years. Now retired they still tutor, consult and substitute teach when not traveling, fishing or motorcycling. They have a wonderful son Erik and his family, Marci Hoffman and son Jake, who live in Windsor. The couple is celebrating with an informal reception at the Berthoud Community Center on Feb. 7, from 2 to 5 p.m. All friends, family and former students are invited to stop by to visit with the Locker’s. Site contents copyright © 2019 Recorder Online	except as noted. All rights reserved. | 89 queries in 2.340 seconds.